When it comes to tracking inventory and assets across the supply chain hierarchy, barcode labels are the most functional tools. However, analyzing and putting the barcode information to use can get complicated if the industries aren’t well versed with the types and existing standard-issuing entities. While a host of barcode types exist, a specific industry needs to concentrate on select versions for labeling the physical inventory and establishing industry-wide consistencies. Moreover, barcode labels also make it easier for the organizations to transfer data across multiple channels. These are typical one-dimensional barcodes that comprise only of numbers and represent data in the form of varying spaces and width of the parallel lines. These entities are further segregated into UPC and EAN codes. The former makes use of 12-digit codes; carrying the identity and identification number of the manufacturer. The EAN codes, on other hand, are quite similar to the UPC barcodes and support POS scanning. However, they have a 13-digit format and multiple variations like EAN-13, JAN-13, EAN-8, ISSN and ISBN. Apart from that, there are Interleaved and Industrial 2 of 5 codes followed by Standard 2 of 5, Codabar, Code II and POSTNET codes. Alpha-Numeric barcodes are also one-dimensional entities that are created using a strategic combination of alphabetic characters and numbers. When it comes to detailed segregation, there are Plessy codes followed by Code 39, Code 93, Code 128 and LOGMARS. The Plessy codes are primarily used for retail groceries and shelf marking while the defense industries and automotive organizations use the Code 39 barcodes. A compacter version of the Code 39 is Code 93 where the barcodes use only 9 elements per character as compared to 15. Code 128 barcodes can be used for similar industries but they boast of a broader character set and better density. Lastly, we have LOGMARS codes which stand for Logistics Applications of Automated Marking and Reading and are typically used by the Defense applications. These barcodes have a definite shape, including the likes of a rectangle or square and also come with a unique arrangement of small dots. The best thing about using 2D barcodes is that they can hold a lot of informative data within smaller spaces. They can also be etched or printed on smaller areas. Typical examples of the same include QR codes or Quick Response codes, Data Matrix, Aztec and PDF417. The QR codes are present virtually on everything that can be retailed, including the likes of books, beverage cups and what not. The Data matrix barcodes are used for document management, postal services, logistics and healthcare applications. PDF417 makes its presence felt in transport, identification cards and inventory management. Lastly, 2D Aztec codes are best suited for boarding passes, tickets and literally anything that concerns the transportation industry. These codes, however, take minimal space and store a lot of important information. While there is already an expansive collection of barcode types and applications, companies are constantly generating new ones for being proactive with the labeling ideas. However, with the inventory and supply chain requirements escalating with each passing day, consistency is required to streamline the information flow by issuing certain standards. This brings us to the important concept of barcode standardization, precisely by the governing bodies and varied industry regulators. AIM Global— Better termed as the Association for Automatic Identification and Mobility, this is an authoritative body concerning automatic identification, networking and data collection. Myriad AIM standards gradually transform into ISO standards. ANSI— The voice of Conformity Assessment, ANSI focuses on global economy, environment protection and customer safety. AIAG— Automotive Industry Action Group or AIAG lays down industry-wide standards and brings together volunteers for achieving a common consensus. Defense Logistics Agency— This body defines standards for parts, supplies, procurement of materials and other activities pertaining to the DoD logistics system. EPA— Environmental Protection Agency aims at issuing standards and practices related to air and water compliance. FHWA— This barcode standard oversees highways signs and varied traffic regulations. FASB— Financial Accounting Standards Board concerns laying down standards for private and public companies. GASB— Government Accounting Standards Board aims at improving reporting standards and financial accounting for local and state governments. GS1— This standard aims at data capture, sharing and improved global collaboration. HIBCC— Here is a barcode standard that’s specific to the healthcare industry. ISO— International Organization for Standardization is probably the largest developer when it comes to the voluntary standards. This organization has already developed more than 21,000 standards, pertaining to business and technology. IWLA— This association develops standards for the logistics and warehousing industry. JAPIA— Here is an association that defines barcode standards for improving production, research and information related to auto parts. While these are some of existing barcode standards, there are a few more that have specific roles when it comes to handling the labeling requirements of supply chain professionals and fixed asset professionals. It is therefore important to understand the role of barcodes in asset tracking and inventory management. With stricter industry regulations coming up, it is important for the industries to comply with the existing barcode standards. Moreover, these barcodes can positively impact the growth of a business by contributing towards its long-term success, in the form of monitoring and reporting compliance. Predicting the future trends is important, especially when it comes to analyzing the supply chain. That said, warehousing is an integral part of supply chain management with many industries slowly shifting towards robotics for improving the organizational capabilities of the same. While the inclusion of automation has greatly improved the warehousing options, there are certain areas which need to be prioritized, in order to set up a successful warehouse. That said, industries must be wary of the modern warehousing trends as following them with dedication can certainly give them a competitive advantage over the competitors. Before we start discussing about the key focus areas related to warehousing, it is important to enlist the considerations without compromising on the budget. The first and foremost warehouse consideration would be to facilitate effective and frequent communication with the workers. The management should always be transparent with the employees; thereby creating an environment of openness. This, in turn, involves mentioning the organizational goals, effective warehousing operations and key performance indicators or the KPIs. Transparency is one organizational consideration that improves employee productivity and the turnover. Another important consideration is to reduce the potential variations associated with shift scheduling, unloading and facility management. Better known as standardization, this approach aims at reducing the errors and additional costs. A successful warehouse thrives on the five-step approach, involving Definition, Measurement, Analysis, Improvement and Control. The best example of this approach would be DMAIC, the existent Six Sigma technology which aims at offering competitive costs and defect-free performances. Other warehouse considerations include educating the leadership, creating strong training modules, assessing variations for increasing productivity, organizing team meetings, identifying exact levels of system automation and incorporating the perks of work-output analysis. For setting up a successful warehouse, the entire supply chain management system should save a special mention for the labor. Probably the largest warehouse expense, labor— including the likes of third-party logistics must be managed perfectly for reducing the costs and amplifying productivity. The best idea is to integrate a warehouse management system or WMS with labor management, precisely for improving overall performances. Some of the existing strategies include cross-training employees, using flextime, revising the labor scheduling strategy, monitoring individual productivity, implementing ‘vendor management system’ and rewarding employees based on their performances. This focus area involves identifying the most yielding aspects of warehouse management and putting them to use. This includes identifying productive employees and segregating them into cross-functional teams for increasing overall productivity. Companies must focus on implementing cross-docking for reducing inventory requirements followed by achieving around 100 percent inventory accuracy under any condition. Operations, is one important focus area that readily optimizes space, processes overall returns and replaces overall checking with auditing. For setting up a successful warehouse, industries must also focus on optimizing equipment usage. This involves standardizing batteries, opting for short term rentals, managing service vendors, using equipment for double shifts and concentrating more on leasing. Most importantly, this focus area also urges an industry to use preventive equipment maintenance for avoiding system failures. A successful warehouse is impossible to construct unless an efficient WMS is in place. Warehouse management is one technology that helps industries save additional costs while also minimizing the dwell time. Apart from that, WMS makes the best possible use of technology by implementing light picking systems and voice directed picking for reducing human interference. 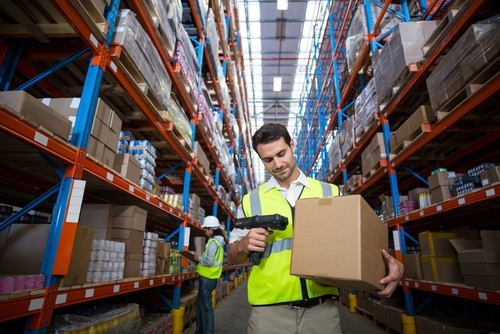 Lastly, interacting and communicating with suppliers via electronic data interface is yet another aspect of an efficient warehouse management system. A successful warehouse is one that has all the facilities and resources in place. This aspect aims at fine-tuning the less prominent aspects of warehouse management. Be it investigating the efficiency of coolers and fans or buying resources in bulk— a successful warehouse is definitely a myth without these management techniques in place. Warehouse safety is of paramount importance and industries must look to implement strategies for securing there inventory and even the storage facilities. Giving attention to forklift operations, designating traffic pathways and prioritizing storage security are some of the best strategies to use. If an industry is planning to setup a warehouse, it needs to prioritize organization in the first place. Apart from that, it must incorporate strict vigilance, logical pickup processes, quality control and other important metrics for fine-tuning the existing inventory-specific strategies. However, once the warehouse is up and running, proper focus should be on the safety and security of the same.